Tritan Fabrication Inc. is a full-service welding and metal fabrication business. We have 27 years of experience and specialize in stainless steel, aluminum, cast iron, and TIG welding. Call us for detailed service that includes everything from project design and prototype creation to final installation and job completion. 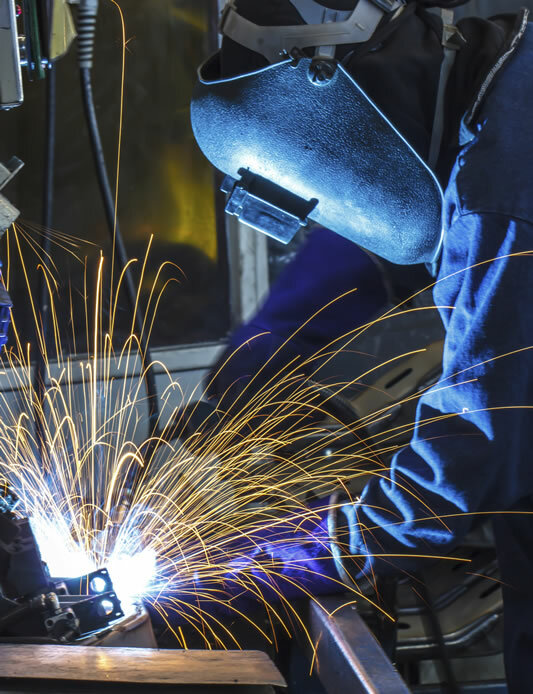 Fulfill your needs for custom fabrication with welding services from our company in Perkiomenville, Pennsylvania. We also create custom decorative metal fabrication and welding for projects such as signs, letters, and words for building exteriors and interiors. Tritan Fabrication is a family-owned welding company that was established in 2006 to provide comprehensive welding services for customers. We’re easy to work with, trustworthy, and charge less than other welding companies, so you don’t have to worry about being overcharged. You receive high-quality products, service, and respect from professionals with integrity when you call us. © 2017 Copyright Tritan Fabrication Inc.